Friday, December 29, 2017, 11 a.m – 5:00 p.m.
CARY, NC – The Ujima Group, Inc. in partnership with the Town of Cary will host its 23rd annual Kwanzaa Celebration at the Cary Arts Center, 101 Dry Avenue located in downtown Cary, NC. 2017. The theme for this year’s celebration is “Peace, Love, and Respect…For Everybody” and will feature a performance by The African American Dance Ensemble, Kuumba Dance Company, Danville, Virginia and Ms. Lois Deloatch; noted for her rich contralto voice and expansive repertoire of classic tunes and original compositions. 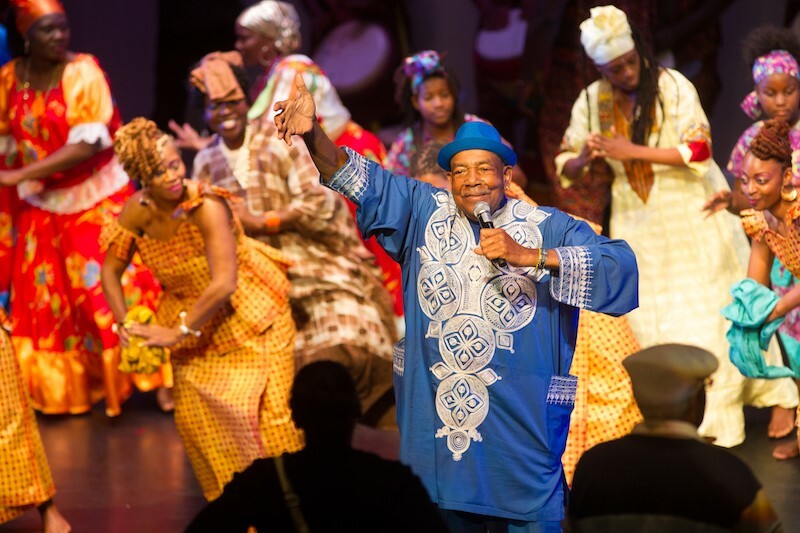 In the tradition of every Kwanzaa celebration, there will be a procession of the elders and the Harambee Circle. The celebration includes fun for the whole family with an ethnic food, vendor market, and craft activities for children. Kwanzaa is a community cultural celebration that highlights African-American heritage and family through seven values – unity, self-determination, collective work and responsibility, cooperative economics, purpose, creativity, and faith. There will be fun and activities for the entire family — young and old. Doors open at 11:00 am for the vendor marketplace and Children’s Village. The program and performance begin promptly at 12:00 p.m. 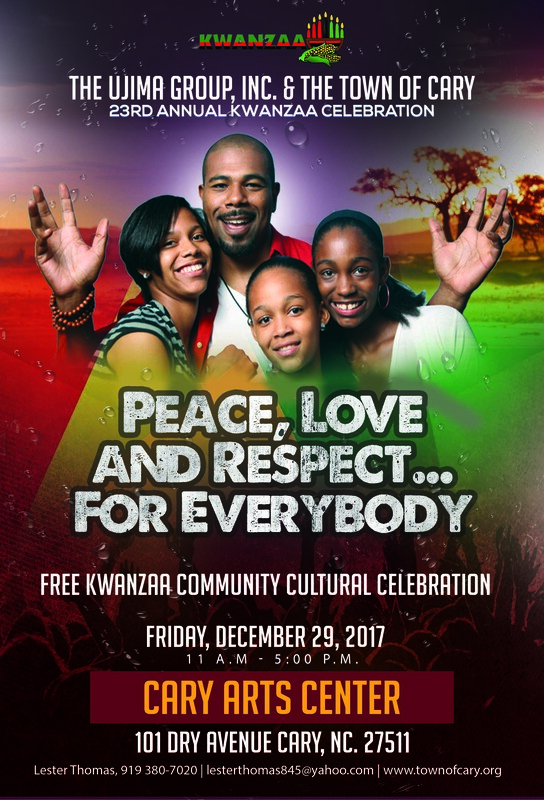 The Town of Cary co-sponsors the Kwanzaa Celebration through the Parks, Recreation & Cultural Resources Department with The Ujima Group, Inc., a non-profit 501© community-based organization that promotes cultural diversity through educational programs and the arts. For more information, please call Lester Thomas, 919 380-7020,email:lesterthomas845@yahoo.com or The Cultural Arts Program Specialist, (919) 462-3963 or visit the Town’s website atwww.townofcary.org.